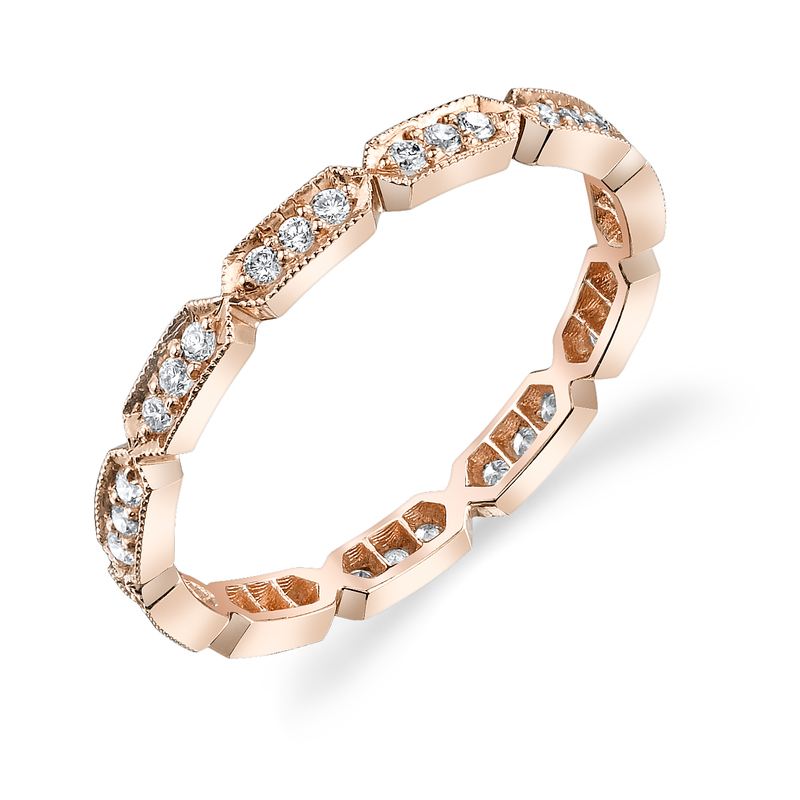 14k rose gold eternity band set with one-quarter carat of round brilliant-cut diamonds in our original bullet-like design with milgrain edges. Please note that price and carat weight are for this stock band in size 6. Please contact our concierge for pricing and carat weight in other sizes. © 23rd Street Jewelers. All Rights Reserved.